WOW! this bike has turned out really great. Good job on the top clamp, super clean look and totally helped the clearance issue. Cool little tail light.. What is it off of ? Thanks, I'm getting really anxious to get riding it. The rear shock helped just as much and should match up really nicely with the R6 spring rate etc. 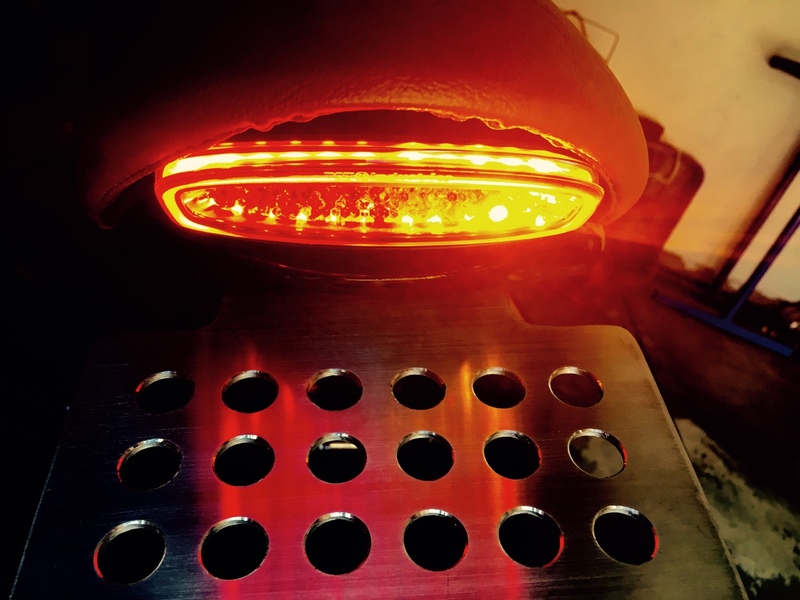 The light is from TST Industries originally meant for an FZ-09 with super bright integrated signals etc. it's tough to get a picture as it's brightness overwhelms my camera. I guess almost 90 led's will do that. I tried to get a picture of the light on, but it's just too intense for the camera to discern clearly what it looks like in person. 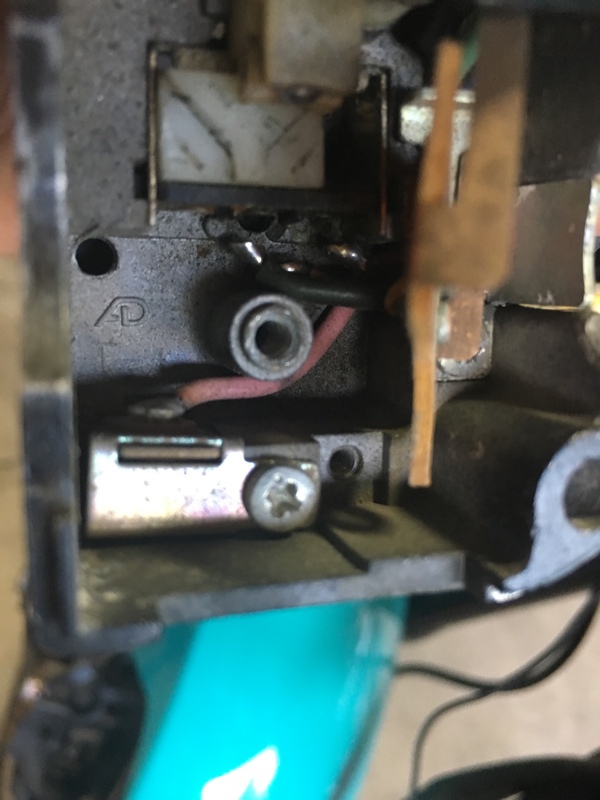 It also took forever to figure out a signal problem with the wiring that turned out to be all three wires pulled out from the switch. It's now cleaned up, re-soldered and epoxied. Should be good for years. Alright - any gearing experts out there? Im having a 17t front sprocket currently drilled and tapped to match the original sprocket and I'm debating what final ratio I want. 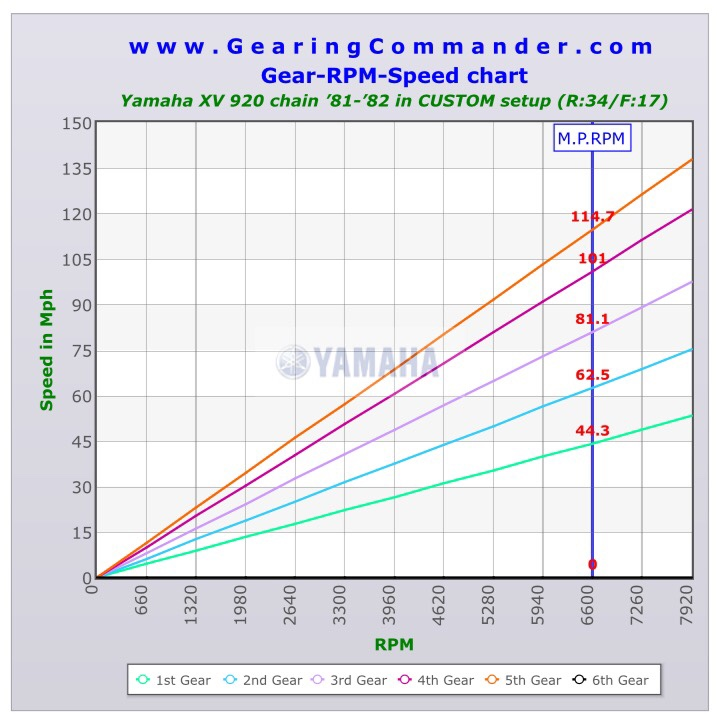 Because of the new rear wheel, I can go as low as a 34 in the rear and running everything through a great gearing calculator (gearingcommander.com) with a 36t rear, I am almost spot on the the factory ratios even working in the difference in wheels and chain pitch. However one thing I dislike about many Japanese bikes is just how high they always seem to spin, so I'm thinking of going 17/34. Any downsides with the additional chain and sprocket wear? Can anyone think of a reason not to drop to a 34 rear with this relatively torquey low revving twin? Sigh. Machinist broke a couple bits and wants to give up drilling the sprocket. It's ok though, in going to try out MikesXS 18 tooth and see if I can make the pre drilled speed holes work. 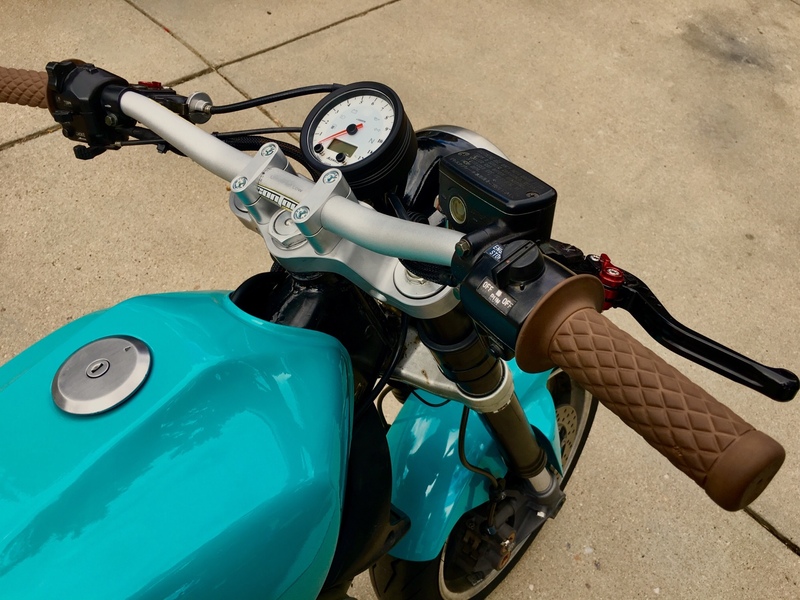 Also, it's getting close... Antigravity 12 cell, new mosfet R/R and motogadget mlock keyless ignition. This ain't no trailer queen fenderless hard parkin sunny day show Nancy. No sir. Didn't like the idea of drilling the part that isn't made anymore and thinning the material to fit the "speed holes" on the MikesXS 18t sprocket. 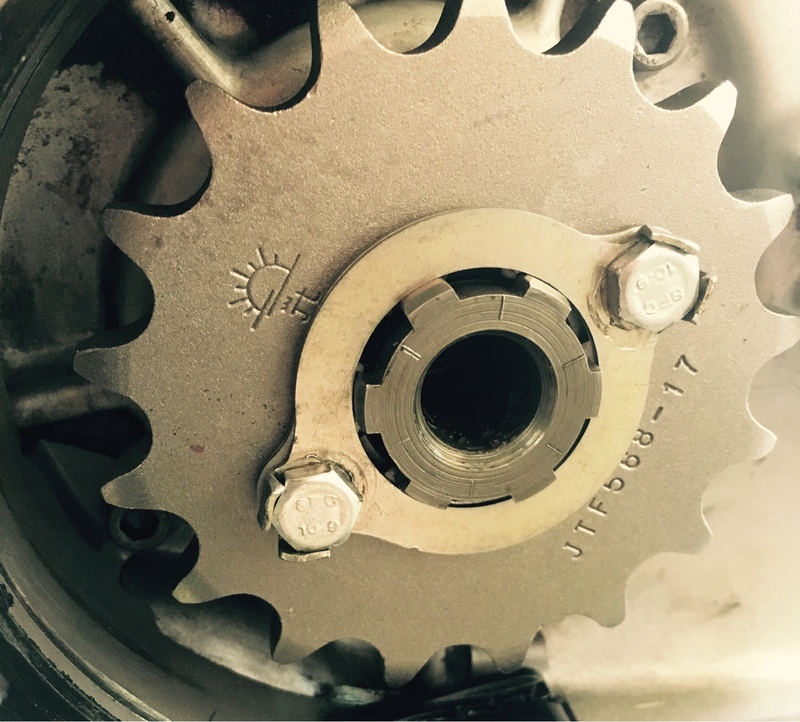 (And I didn't like it was made by emgo...) so here is a successfully drilled and mounted 17t front JT sprocket. 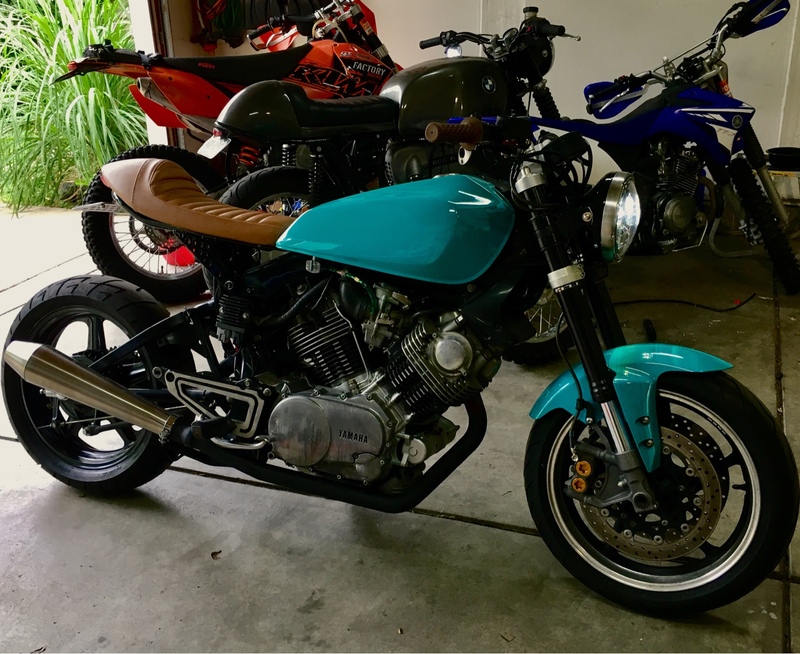 My final spacer measurement to use a CB750 nighthawk rear wheel on a virago XV920R is 22mm drive side and 24mm brake side. You also need to either drill out the sprocket bearing spacer or machine a new one to fit the 20mm axle. Other than drilling the center spacer and fitting the appropriate bearings, that's about it. 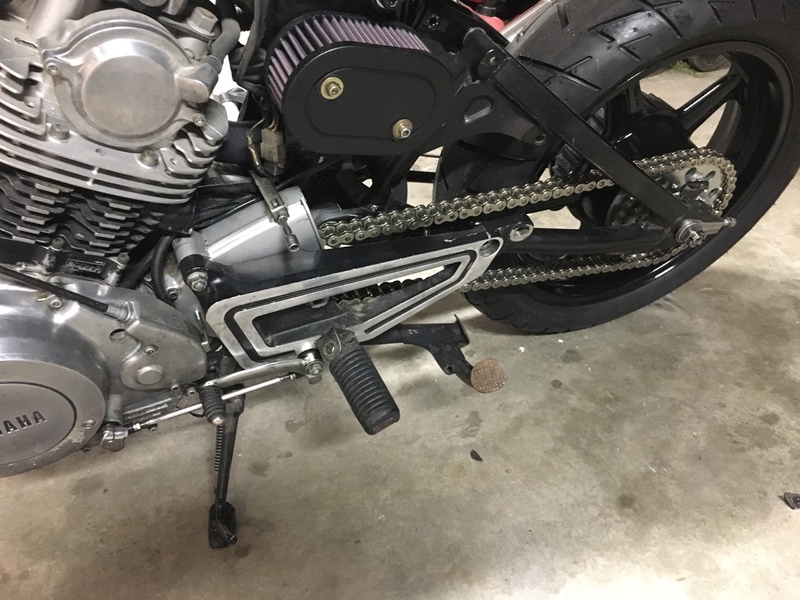 My spacer dimensions are for a 530 chain with the XS650 sprocket up against the retaining washer without an additional spacer. Pictures later as I'm putting the finishing touches for the chain tonight. How did you manage to drill not one, but TWO holes in that sprocket? I'm going for the exact same setup with the nighthawk wheel as you but the front sprocket gives me headaches. Any advice?